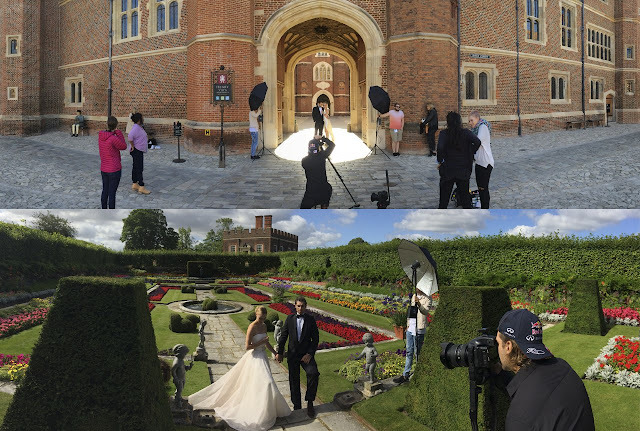 In August 2015 I filmed at some amazing locations for the latest Clogau campaign. Over five days I filmed at Tower of London, Kensington Palace, Hampton Court Palace, Westminster Abbey and Pembroke Castle. It was quite an experience to be the only people at these amazing locations that are steeped in so much history. I particularly enjoyed being at Hampton Court Palace as it has so many different areas to explore. Pembroke Castle was also incredible as it's over 900 years old and I got to direct my first aerial drone shoot there.